पेशव्यांच्या सर्वच स्त्रिया सुंदर असल्या तरी मस्तानीचे लावण्य अभूतपूर्व होते. तिची त्वचा इतकी पातळ होती की विड्याच्‍या पानाचा रस गिळताना तो तिच्या गळ्यातून ओघळताना दिसे. कर्मठ ब्राह्मणांनी मस्तानी मुसलमान असल्याने बाजीरावावर बहिष्कार घातला होता, पण बाजीरावाचा दराराच जबर होता, त्याने कोणालाच जुमानले नाही. त्याने मस्तानीकरीता शनिवारवाड्यातच महाल बांधून घेतला होता. The Delhi Wazer "Mohammed Khan Bangesh" came under the Chhatrasal Bundel king. When the Chhatrasaraja had to surrender before him. Since Bangesesh learned through Aurangzeb's hands, the quality of discipline and perseverance came down to this level. He seized 80-year-old Chhatrasal in a camp. He sent a letter to Bajirao, asking him to surrender. That is why there was only one supreme person in India who would bring Delhi to power. "The world is born of Brahmin, Bhrigu and Bajirao, those two and half rajputs, these two dusk tricks." This means that there are 2 Brahmins in the world. One Parasurama who was immersed in the Kshatriya rulers, and the second Bajirao Peshwa, who made the same condition of Turks. In the same letter, he said, "The speed at which Gajendra Sadh Pramukh Bhai Jahan was born today." After receiving the letter, Bajirao and Mohammad Khan went to Bangheesh after receiving the letter. Soon it was too late that Bajirao did not understand anything till Bajirao, and he was caught in a fort. And others. With the help of this happy mean Chhatrasal gave him thirty-two lakh annual income of the district Baji. Baji Rao and gave him his own daughter, "Mastani"
Mastani is not a politician. She is the daughter of Chhatrasal Raja of Bundelkhand. This King is Hindu He is the daughter of Mastani from the Muslim queen. It is not even wrong. Chhatrasal is a system of systematic tradition. This sect secular thought. Under the influence of Mastani, he grew up, so he read Namaz and also worshiped Krishna. According to posthumous culture, it is a dance skill. He dances in praise of Krishna. This does not mean that there was no artistic or satire on the corner. Though all the women of Peshwa were beautiful, the majesty of Mastani was phenomenal, though. Her skin was so thin that when she swallowed the juice of a leaf in the leaf, she could see it rolling over her neck. Bajrirav was forced to boycott Bajirao because he was a Mastani Muslim by boycott Brahmins, but he did not spare anyone. He had built a mansion in Shaniwarwada for the Mastani. Mastani was a Bundel woman. He got married to the eldest Bajirao Peshwa and came to Pune and after the death of Bajirao, in 1740, Mastani left the world. He had a son named Samsher Bahadur. Mastani was skilled in dancing, singing, swords, and archery. 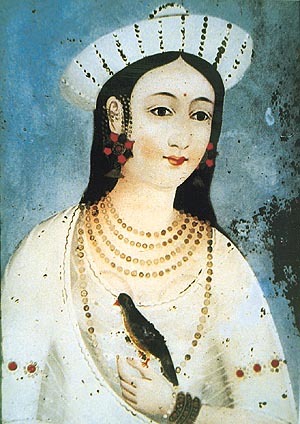 In addition, she was inspired by the material of Saint Kabir, Saint Meerabai, Mastana, Keshavdas and Tulsidas. She had studied Urdu literature, Quran too. Mastani's death: In 1740, Peshwa Bajirao secured the battle against Nasirajang on 27 February 1740, at Munic taluka, Paithan. In this, Nasirjang handed Handiya and Khargon to the Bajirao. On March 30, Bajirao went to Khargon to make arrangements for him. In the wake of this accident, the typhoid in the village of Ravarkhhedi, on the banks of the Narmada river, was killed on 28th April 1740 (Vaishakh Pure Shaka 1662). With that shaking, Mastani hung his venom and left his life. Her Samadhi site is near Pabal village in Pune. He is now known as "Mastani Samasthya Sthal". The care of Samadhi is taken from the descendants of Mastani Mohammed Inamdar.